Magento is the best eCommerce software and solution for online services. Recently the Magento team has released its new version Magento 2.0 with lots of improvements changes and optimizations over Magento 1. You can use following commands to install all requirements from default repositories. Then install PHP and other required PHP modules. 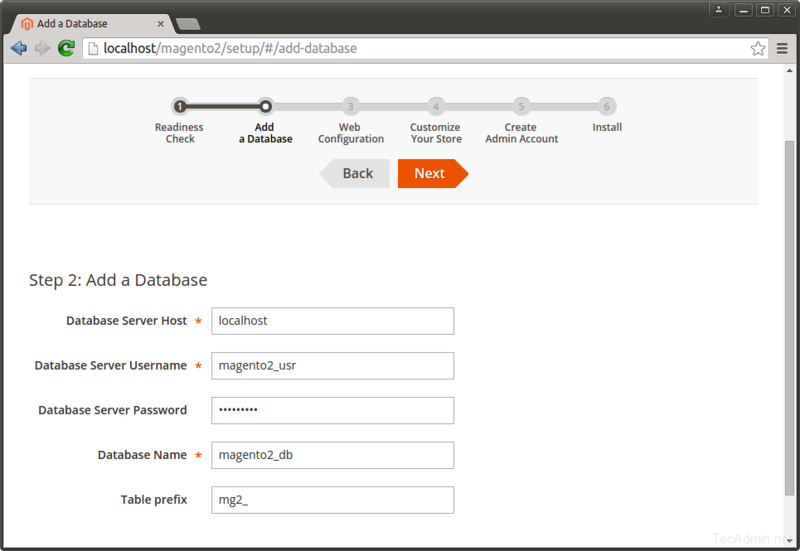 You can use MySQL or MariaDB as the database server for Magento application. 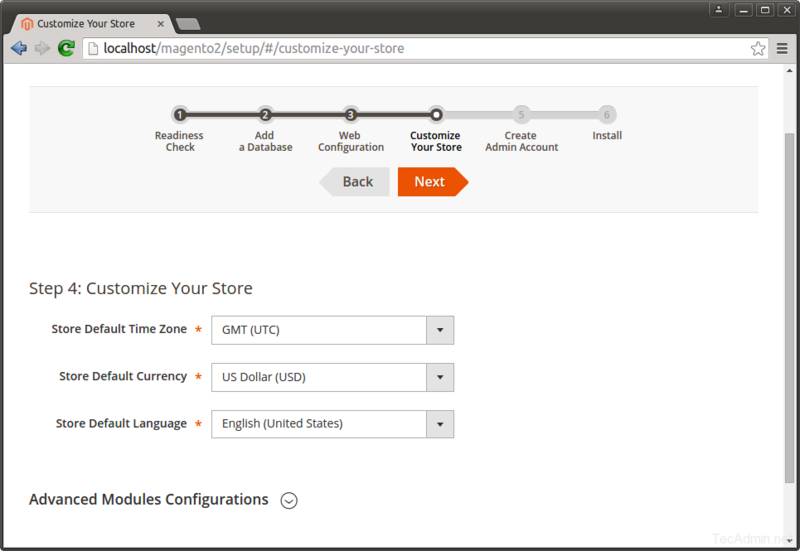 Magento is available in 2 editions Enterprise and Community. In this tutorial we are using community edition for setup. Download Magento2 community edition from its official website. 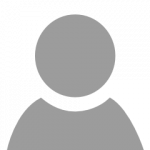 After downloading the archive file, extract it under website document root. So we can access directly from web browser. 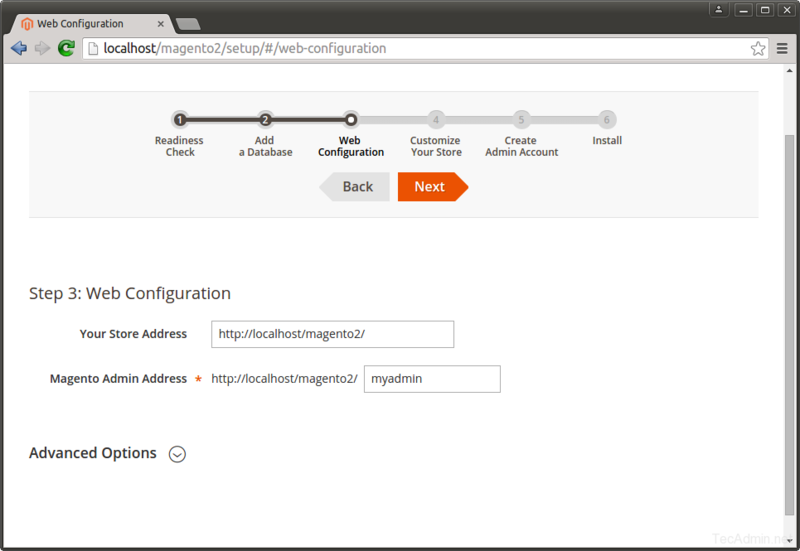 Now login to your MySQL server with admin privileges and create a database and user for new Magento 2 installation. 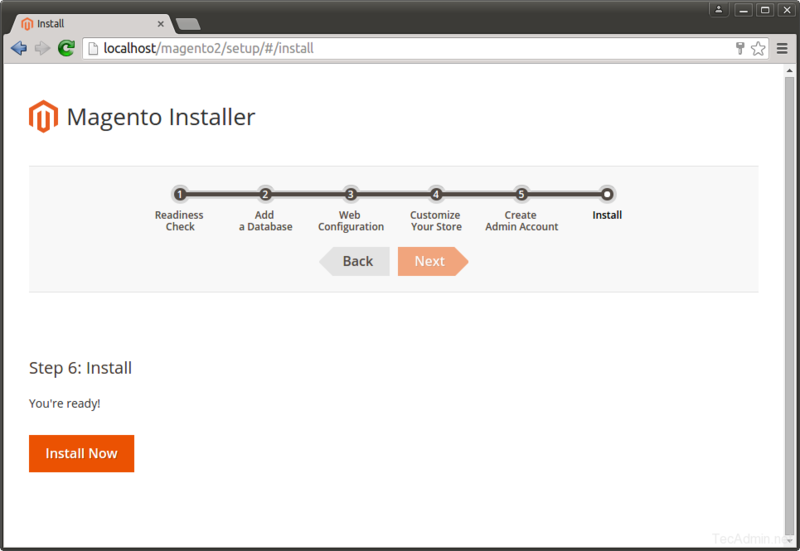 Let’s begin the installation of Magento2 using web installer. 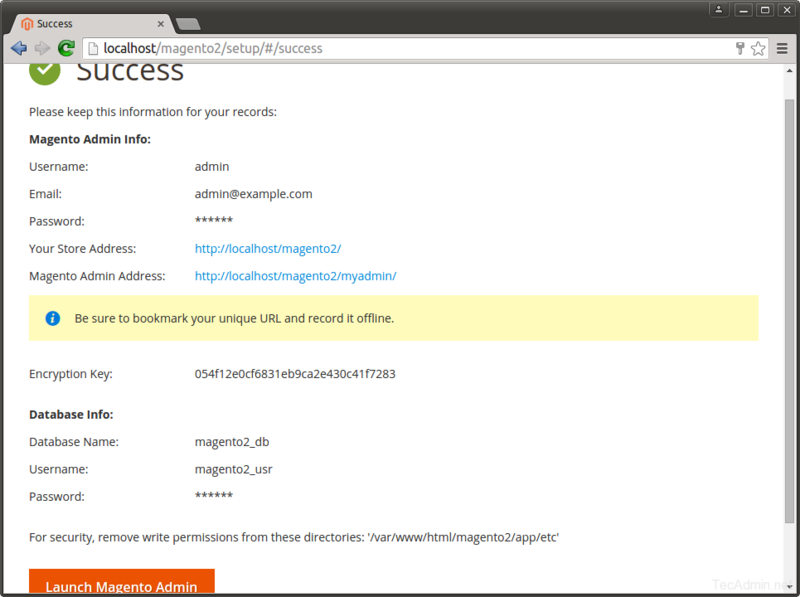 Access your Magento 2 directory on the web browser like below. It will redirect you to the installation start page. 4.2. Now click on “Start Rediness Test”. Magento will check for system requirements here. On successful completion, you will see the screen like below then Just click Next. Fix issues if shows on this screen and click Try again. 4.3. Enter your database details here created in step 3. 4.4. On this page configure the admin URL and website URL. For security reason it will not take url as admin, that’s why I used myadmin here. Now click Next. 4.6. 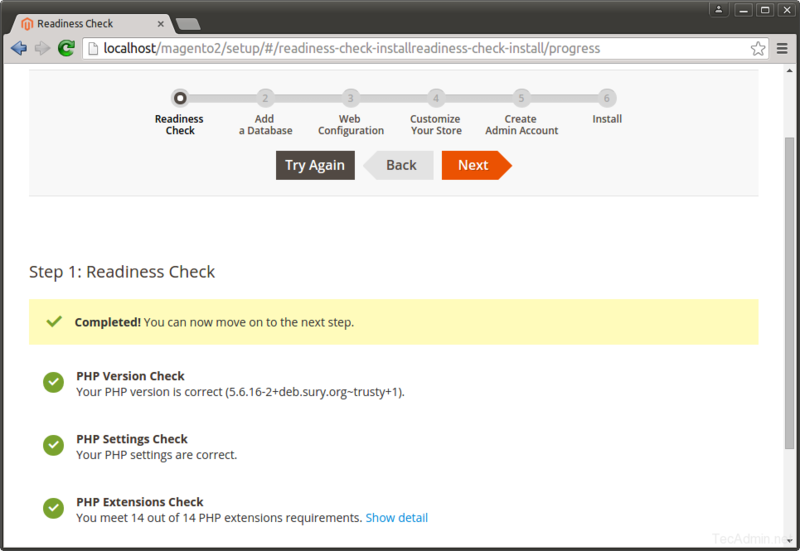 At this step, Magento is ready for installation. Click on Install Now button to begin installation and wait for its completion. 4.7. At this step, Magento installation is completed. 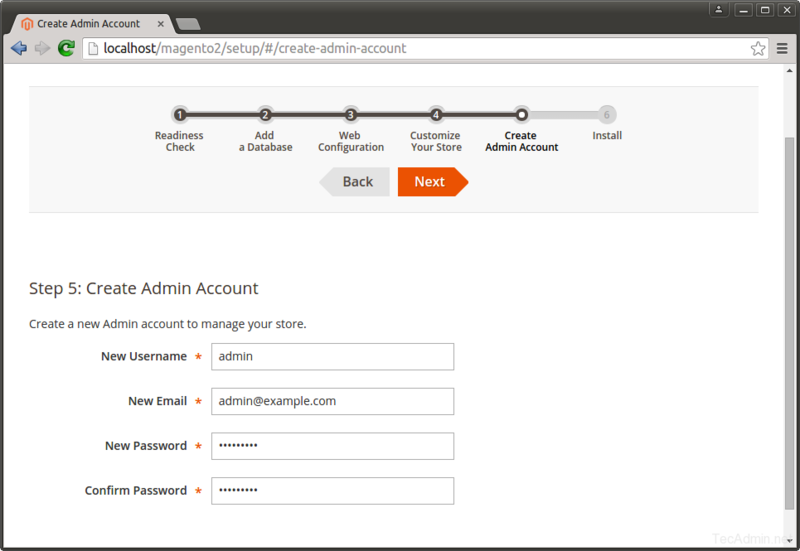 Now create an admin account for yours. remember these details for admin login in future. 4.8. Set the preferred timezone, default currency and default language as per your requirements. 4.9. Finally, it will open the Admin Login screen. Use admin credentials to log in on this screen. It will open Admin panel after successful authentication. Congratulation! 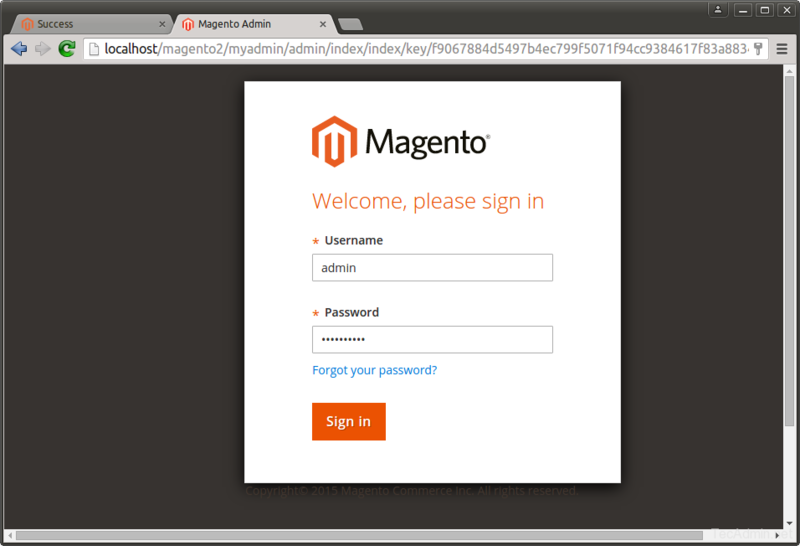 You have successfully deployed Magento2 on your system. and add following cronjobs at the end of file and save it. Here www-data is the user under which Apache is running and /var/www/html/magento2/ is the location of your Magento2 applications. hey, my installation gets stuck at installing database schema. Any idea about what’s going on? I only see text. like login link etc…but no image or css..
Edit .htaccess file of main folder and set RewriteBase with your application directory name. Good day! Very useful article! 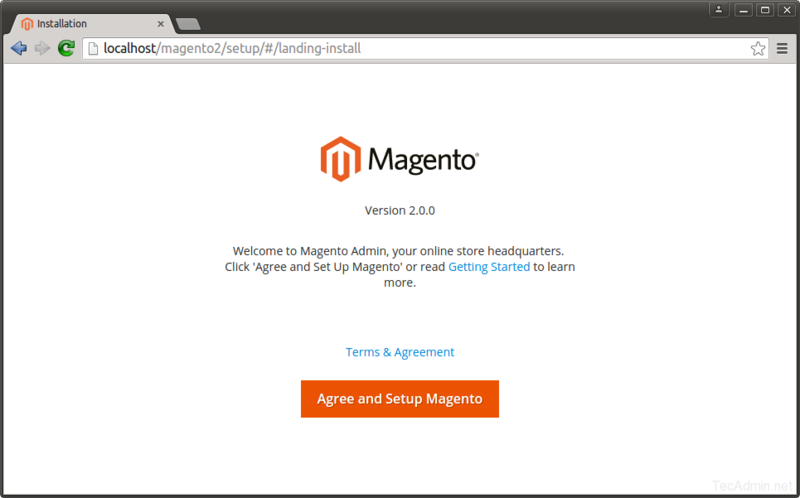 But can you clarify to me if I need to install Composer firstly As it was said here http://sam-ecommerce.com/blog/view/install-Magento-2-with-Composer?